Clark County has a motto, and it begins with a simple pursuit—to live relentlessly; and when your county seat is Las Vegas, it’s not a difficult thing to do. With all the culture and spectacle found within this county, it’s important to give incoming residents a seamless moving experience, so they can focus on what truly brings them to area. At Coleman Worldwide Moving, we help move lives forward seamlessly with our deep commitment to quality, customer-oriented service—a founding pillar of our business since its founding in 1914. 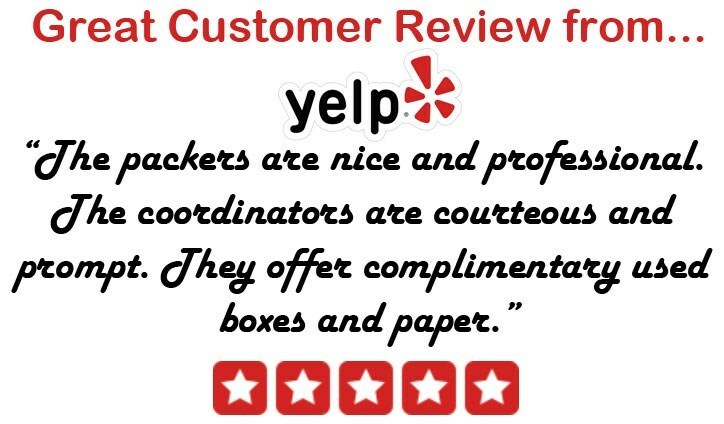 Our Clark County movers demonstrate the utmost professionalism and courtesy during every move—ensuring both the security of your items and your peace of mind. Our excellent standard of service has earned us numerous industry decorations, including BBB accreditation, a ProMover designation from the American Moving & Storage Association (AMSA), and agency with Allied Van Lines. Whether you live in a smaller, two or three-bedroom home or a sprawling estate, we offer a full slate of services that range from the most basic relocation tasks to full-service residential moves. Not quite sure which services are right for you, or how much you should budget? No worries; our expert Clark County movers kick off each job with a face-to-face discussion of your individual moving needs, and by delivering a free, in-home written estimate of allyour projected expenses. It’s understandable to expect less overhead expense when moving locally, considering the diminished traveling distance and reduced need for long-haul equipment. Coleman Allied specializes in making local moves as cost-effective and accommodating as possible. Most notably, our customers enjoy our quality relocation solutions well after their relocation is complete. Namely, our Clark County local movers offer short and long-term storage options in the event you discover you have more possessions than space. Long-distance and cross-country moves can be difficult things to coordinate, especially if you’re doing so across multiple, unaffiliated companies. With Coleman Allied, a lack of communication or coordination is never a concern because of our agency with Allied Van Lines. Not only are our Clark County long-distance movers equipped with the resources befitting a nationwide moving giant; we can also communicate even the most granular details of your relocation to the Allied affiliate receiving you and your possessions at your destination. To learn more about our movers in Clark County, or our staggering variety of comprehensive residential and commercial relocation services, call Coleman Allied today! You can discuss your relocation plan with one of our knowledgeable moving specialists, or fill out our online quote form to receive a no-obligation estimate.